Ig Nobel Psychology Prize Statement in Memory of John E. Mack, M.D. For various reasons (one relating to my teaching schedule), I will be unable to attend Thursday’s Ig Noble prize awards ceremony. However, I would be extremely appreciative and I think it would be appropriate if you or someone else could read the following statement to the group. On Monday, September 27th, John Mack, Professor of Psychiatry at Harvard University, winner of the Pulitzer Prize for his biography of T.E. Lawrence and one of the leading socially conscious psychiatrists in the country, was killed in London, England, by a drunk driver. 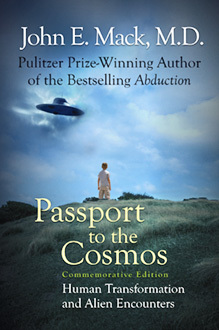 John had spent much of the past fourteen years studying the UFO abduction phenomenon. He went forward with his findings that the phenomenon did not fit psychiatric or psychological models but did an experiential one. His research forced him to entertain the idea that the phenomenon was happening more or less as people were saying. He and I knew that coming to this conclusion is dangerous in the academic world. He knew there would be a price to pay and, indeed, Harvard Medical School convened a panel of his peers to look into his research, methodology, and conclusions. The investigations found no academic violations and he was exonerated. While the investigation was time-consuming, frustrating, and draining for him, more than anything else it demonstrated his fortitude in the face of the scientific community’s hostility. He was fearlessly intellectually and academically honest. He fully understood the unscientific and ridiculing attitude that the academic community took about UFO abductions, but that did not stop him. He gave numerous lectures and papers on the subject and he published two books about his theories, knowing that they could hurt his academic reputation. Although my colleague Budd Hopkins and I had profound intellectual disagreements with John, we never questioned his honesty, integrity, and courage. His intellectual curiosity should be a model for us all. For some, receiving an Ig Noble prize can be demeaning, but in this case I am proud to have shared the 1993 Ig Noble Prize in psychology with John E. Mack. The statement will be read aloud at the 2004 Ig Informal Lectures tomorrow, at MIT. The mission of the John E. Mack Institute is to explore the frontiers of human experience, to serve the transformation of individual consciousness, and to further the evolution of the paradigms by which we understand human identity. JEMI is named in recognition of John E. Mack, M.D. (1929-2004), Pulitzer Prize-winning author and Professor of Psychiatry at the Harvard Medical School, to honor his courageous examination of human experience and the ways in which perceptions and beliefs about reality shape the global condition. We are a 501(c)3 non-profit organization. We depend upon donations to maintain our presence. 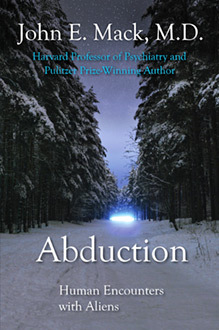 Abduction has also been published in Dutch, Finnish, German, Italian, and Swedish, but may no longer be available. Center for Psychology and Social Change Inc, founded by John E. Mack, M.D.